When going on a walk in winter you need to take some extra precautions you wouldn’t normally have to take during the rest of the year. Winter means preparing for snow on the ground in most areas that is. 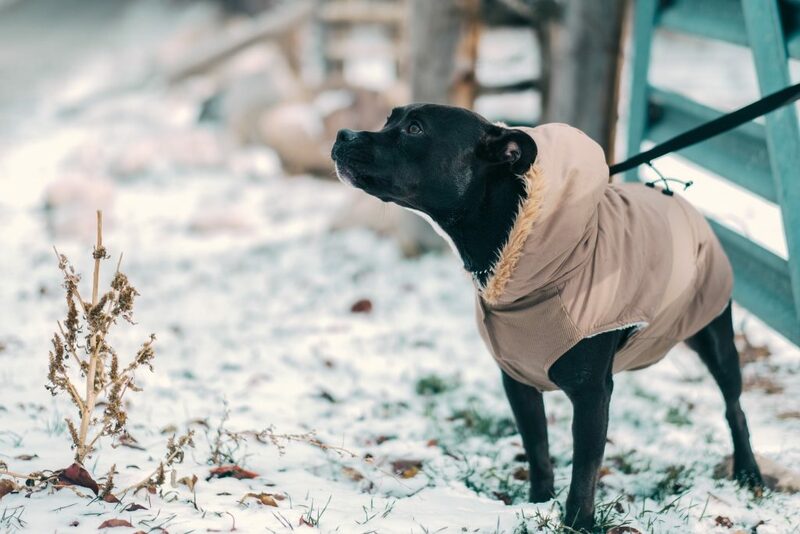 There are a few essential tips to preparing for winter with your dog. 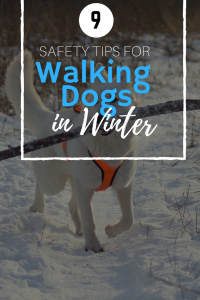 Since you will still be walking your dog in winter, you need to be cautious of what goes on the road to help with the ice and snow. When you first see snow, many people start using anti-snow and ice melters which contain harmful chemicals. 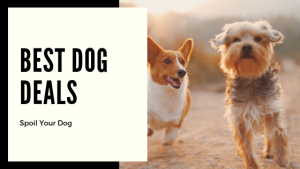 Not using pet safe versions of these items or walking in unfamiliar territory you need to take these extra precautions. Notice that your dog has randomly started to begin walking slower, limping, or stopping? Seeing signs of discomfort with your dog? Be sure to check their paws. The paws are typically the first place something can get stuck while on a walk. 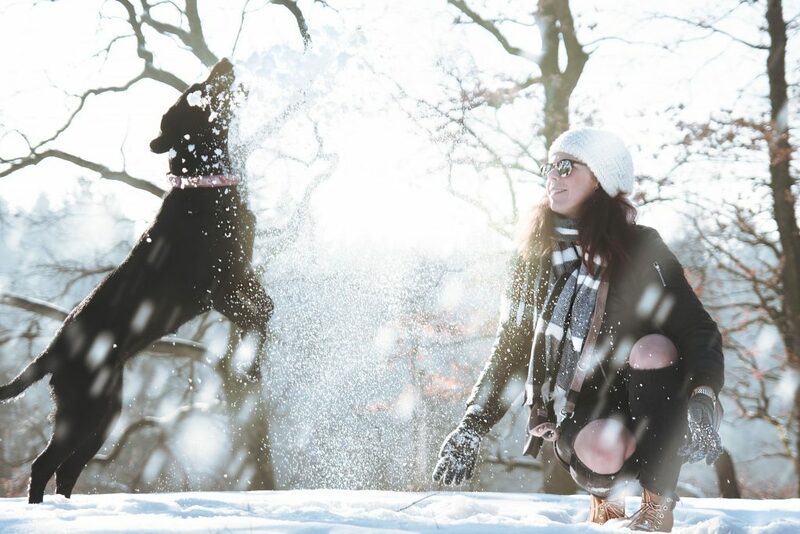 Winter walks with your dog will typically be shorter in winter as well. Just because you think your dog has clean paws, doesn’t mean you should neglect this. The best way to do this is to get a warm damp cloth and wipe their paws gently. Be sure to not have the cloth too cold or too hot. I prefer to use dog wipes for how easy they are to use as I have three dogs. The wipes just make it easier. You can also get a paw wash which can be easier than using a damp cloth. 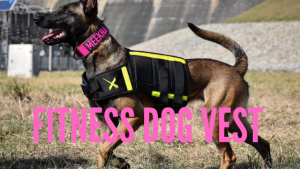 This can be a bit more costly or not the best if you don’t let your dogs out often. It’s great if you will use it year round though. They are easy and simply to use though too. With snow comes ice and with that, there will potentially be chemicals on the roads. These can, and most likely are toxic and dangerous for your dog. Be sure to watch them and not to let them eat anything while on walks or playing outside. You never know if any of the chemicals or anything have run off into your yard from the road. Harmful components can be anti-freeze, road salt, and chemical ice melting products. If your dog likes to snack while on walks with things they find on the ground, you can bring some treats. Treats are safer and better and can help to keep them distracted from trying to eat strange items off the road. There’s many dogs who fully enjoy the cold weather and would love to stay outside and play all day. Along with this, there are many dogs who can’t handle the cold or simply don’t like it at all. Be sure to look for warning signs that your dog gives/shows that they are too cold. These signs can be whining, licking their paw excessively, and/or shivering. Take your dog inside so they can get warm. Usually if it’s too cold for you, it’s too cold for your dog but this isn’t always the case. Every dog is different for cold tolerance, just like each human has their own tolerance of being cold. With shorter days in winter, walking during the daytime is overall safer. You are more visible to traffic. Also, during the daytime your dog is likely to stay warmed. This is important to help prevent them from getting canine influenza, dog flu, hypothermia, or simply being cold. Of course morning and nighttime walks are likely to happen in the dark. If this is the case, be safe and use reflective gear or a light so oncoming traffic can be sure to see you. 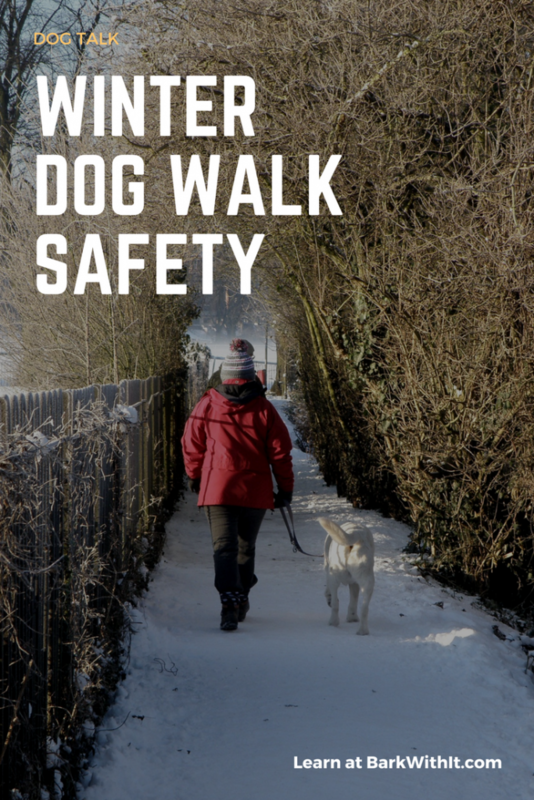 Daytime walks are safer for you and your dog though. Although there’s plenty of people who laugh and joke about the idea of dogs wearing clothes, it can do wonders in winter. The dog clothes help keep your pet warm and keep off the cold on the snowy weather. Just because dogs have fur doesn’t mean that they can withstand the cold temperatures. There’s still many dog breeds who can’t handle the coldness or not as well as dogs who are meant to be in the snow. Dog sweaters add an extra layer of insulation and protect them from moisture and wind. Once the sweater becomes wet though, this can cause dogs to get even colder. One way to prevent this is head home once the sweater is wet or pack a few extra sweaters for those longer walks. Another idea is to have a rain coat on them over the sweater to help keep the sweater dryer for a longer period of time. Dog booties can even be beneficial in keeping the feet dry and putting them over a pair of dog socks helps keep them warm as well. You don’t want your dog getting dried out paws. Using a moisturizer can help prevent this. If your dog has dried out paws, it can cause splitting or cracking, and discomfort for your dog. When using a moisturizer you should do it prior to going for a walk and again once the paws are dried off after the walk. You can use moisturizers that are store bought from pet stores or pet-safe alternatives. There’s paw protection waxes which can be used in winter and also ones that are for dry paws. Be sure to look into the best option for your dog and where you live. 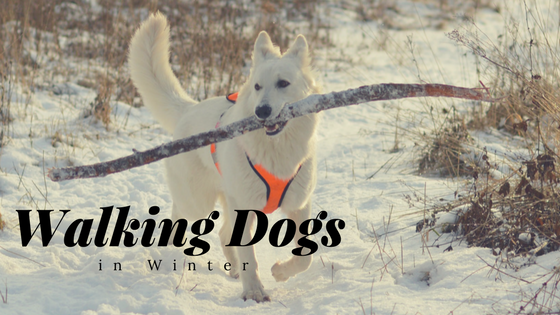 Winter walks can be more dangerous for your dog than walks in the summer but they can be made safer with a few extra precautions. 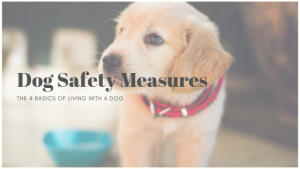 The most important step for safety is understanding your dog and their specific needs. Being able to notice their needs, such as being hungry or cold can help keep them safer while out on walks in winter. A great list of advice for people who aren’t used to walking in these conditions. We always wash paws after every walk as we are having issues with Alabama Rot in our country. But many people don’t think of the increased amount of salt on the footpaths. Thank you. So glad you properly care for their paws. It’s definitely easily overlooked.